Yoyo dieting is often a lifelong issue and generally does not end unless a decision has been made that diets are not an option anymore. 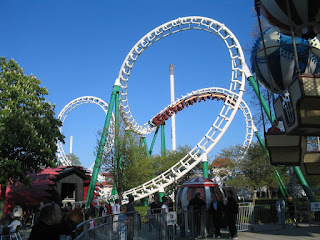 Breaking free from the yoyo dieting roller coaster ride is more challenging than just the intention to do so. Giving diets the boot can only be accomplished when we totally open ourselves to do things completely different as far as our weight loss goals are concerned. It certainly requires an open mind. 1. You are more likely to succeed in both improving your health and attaining permanent weight loss if you recognize that there are no quick fixes and any diet which promises this is deceiving. The main reason why there is the tendency to go from one diet to the next is because the weight loss desired was not achieved or the weight that was loss was regained. Long term weight management requires patience. 2. Distinguish between psychological hunger vs. physical hunger. Psychological hunger is really not hunger at all, but cravings originating from emotions and stress. True hunger stems from our bodies natural hunger cues in response to it’s physiological and definite need for nourishment. It is important to be able to distinguish the two and become fully intuned to when you’re really hunger vs. when you are seeking pacification from food. 3. Stop fighting hunger. Despite what you’ve heard, hunger is not the enemy. It’s your body’s way of communicating with you a basic and primal need-food. Once you fully understand the difference between true hunger and cravings, you know that your hunger is a kind friend rather than a foe. Therefore, honor it and for goodness sake eat something! Ignoring hunger and putting off eating to cut calories will bring about an insistent response from your body that it needs nourishment for its survival. This response could come as cravings and overeating. 4. Open yourself to and find non-diet approaches to weight management. If you were told that you don't have options, then you won't told the whole story. Like everything in life, their are always choices out there. If there weren't there would be no need for advertising. The non-diet weight management options available fill in crucial elements which most diets leave out. Remember that its never too late to do something differently. Just because you've always done weight loss the dieting way, that doesn't mean you need to continue doing so. Chances are that, like most, you probably haven't been seeing much success anyway. So perhaps it's time to explore your options.